Golden Gate Bridge, Lime Point, and Horseshoe Bay in this landscape photograph from San Francisco, California. The image was taken from a boat as it passed below the bridge. Stately and majestic, the bridge arches over the bay. 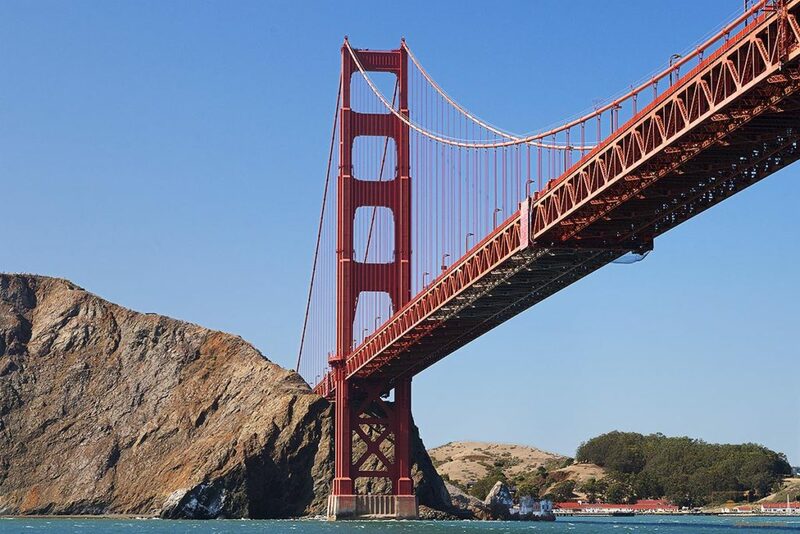 The Golden Gate Bridge embodies the optimism and drive that is part of the cultural makeup of the San Francisco Bay area. Red roofs on the buildings at Fort Baker, in the background of the picture, echo the reds of the bridge.